Many architects come to us asking about the best cove base profiles for their projects in hospitals and physician’s offices. 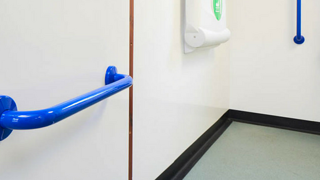 We get the importance - cove base is an essential flooring accessory for most commercial installations, but particularly in healthcare facilities where bodily fluids and rolling wheelchairs and carts are daily hazards to the floors and walls. 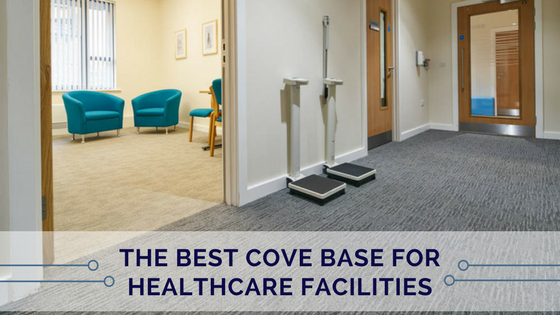 Here are our top recommendations for the best cove base profiles for projects in the healthcare sector. Most hospitals have simple PVC cove base in patient rooms and treatment areas, and more decorative profiles at the main entrance. This is the right choice, as PVC covers all of your needs for these spaces. The two main reasons PVC is the profile of choice is because of its low cost and durability. We spoke with a maintenance worker at a local hospital who said that he preferred PVC because it’s “indestructible” - a key feature in areas with heavy traffic and frequent, heavy-duty cleanings. His buffers can go right up against the wall without causing any damage. One common problem with PVC profiles is that their colors can fade over time. But, most hospitals aren’t concerned with this. The cost of replacement is so low that new profiles can be installed if the colors become dull. Many hospitals opt for higher end profiles in their entryways, and ones that offer a more homey look to make patients and their families feel as comfortable as possible upon arrival. In these cases, we typically see the architect specify a floor tile that then comes up the wall, almost like a splash guard, in comforting, muted colors. Assisted living facilities have different cove base needs than hospitals because they don’t have the same constant cleaning and patients are able to get around more easily. Most architects specify more decorative cove base profiles for assisted living facilities, like a wood or a higher-end PVC. Our recommended profile for these types of projects is the stain and scratch resistant Gradus Stratum skirting, a high-quality PVC cove base. The Stratum line is less expensive than wood and won’t chip or splinter. It has all of the benefits of PVC (durable, easy to clean, etc.) without the colder, industrial look. 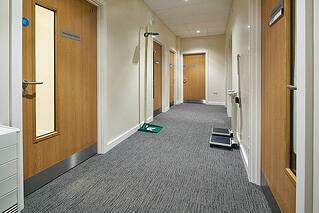 Doctor’s offices also need cove base, and we again recommend Gradus’ Stratum skirting as an ideal profile. Another option is to use linoleum or vinyl flooring in the room, then curve it up the wall using a cove former and capping seal. This eliminates the need for an additional cove base and is often the most cost-effective option. We most often see cove base glued to the floor and then heat welded at the seam on the bottom. Although this creates an effective seal and strong hold, there is a better way to do it. A dry adhesive tape like Opti-GripⓇ is ideal for cove base installations in healthcare facilities because it has none of the toxic fumes associated with wet glues. This can protect hospitals’ and assisted living facilities’ sensitive populations from inhaling anything that could be potentially dangerous. Additionally, Opti-GripⓇ doesn’t require any curing time, so the area is ready for immediate use after installation. Cove base installed with dry adhesive like Opti-GripⓇ is just as durable and secure as a profile installed with wet glue, but safer for patients and the doctors and nurses taking care of them. Healthcare facilities have a unique set of needs because of their sensitive populations, heavy traffic, and stringent health and safety standards. Choosing the right cove base profile and installing it properly will not only protect your walls, but the people living and working within them. How Much Does Cove Base Cost?